The inner drum has a large perforated drum surface for best water extraction performance. 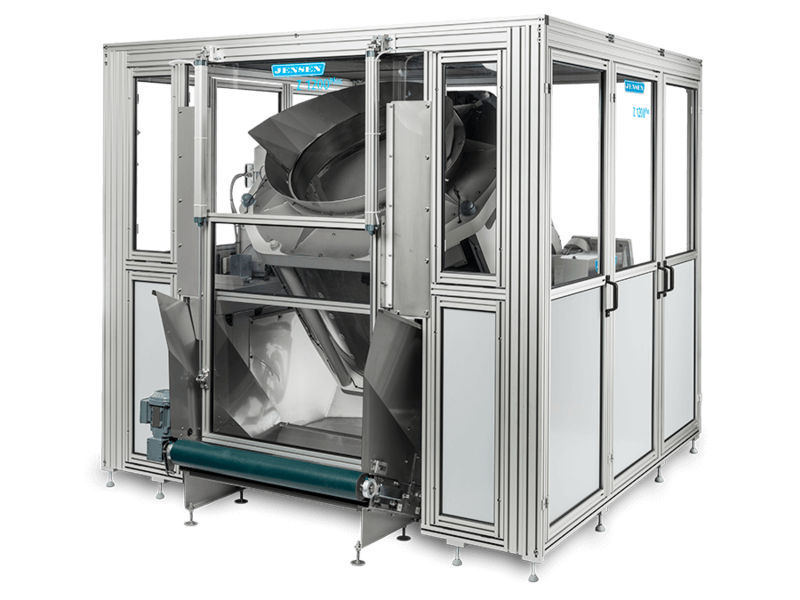 Due to low moisture retention figures and an even distribution of the moisture within the batch, garments can often be finished directly after the centrifugal extractor in a tunnel finisher (without conditioning in a dryer). The moisture retention values for heavy cotton articles will be lower in a press compared to a centrifuge, especially with short cycle times. Basically all linen categories processed in a batch washing system can be extracted in a JENSEN centrifuge, however, the best application is the extraction of articles with a content of synthetic fibres, like poly-cotton garments, microfibres, incontinence pads, etc. Especially poly-cotton garments can be extracted more efficiently in a centrifuge than in a press even with very short cycle times.